Companionship. Most dogs like to be with other dogs or people and not to be left alone for too long. 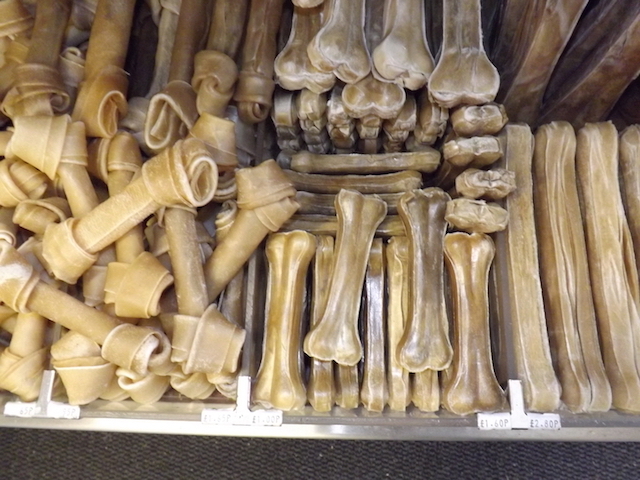 At Galloway Petfoods, you’ll find a range of toys and chews for dogs to keep them occupied when they're on their own or for you to use with your dog during play. A balanced diet. All dogs should have a balanced diet to keep them healthy. 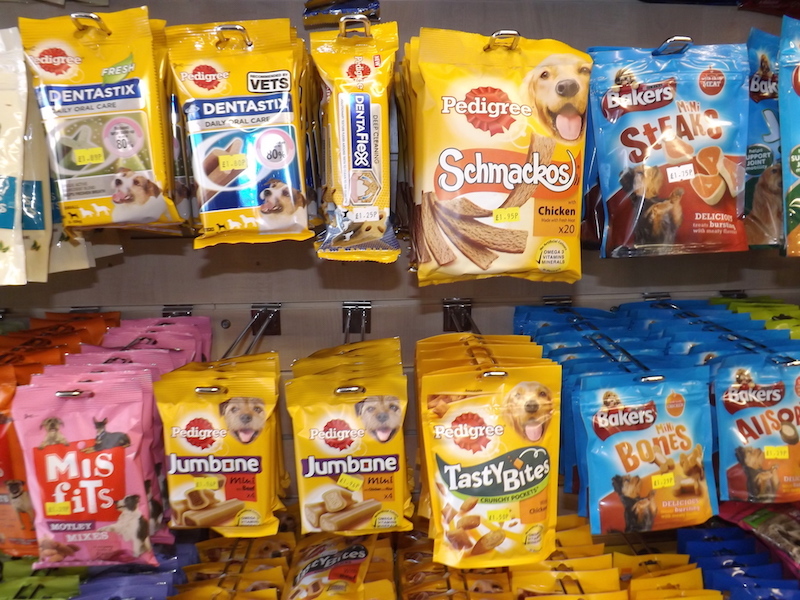 At Galloway Petfoods, we stock a range of leading-brand dog food including frozen meat and supplements. We are experienced in looking after pets, so we can offer nutritional advice. A constant supply of fresh, clean water. That’s really important. At Galloway Petfoods, we sell a range of dog bowls for food and water. Bedding. Make sure your pet is really comfortable. We stock a range of quality dog beds and blankets, so pop in and see what we have to offer. A well-fenced garden to play and exercise in. Exercise is very important for dogs and they need plenty of it! We sell a great range of balls, toys and other play equipment for dogs to keep them fit and active. It’s important to ensure that your dog doesn’t chase sticks, for example, as these are regularly the cause of mouth injuries. It's better to give them a proper rubber ball or bone which they can chase. These are safe with no sharp points to cause injuries, but provide plenty of safe fun for your dog. Call in to Galloway Petfoods and see our great range of dog toys. To be brushed every day, especially if they have long hair. Grooming is important for your dog, epsecially with breeds that moult such as Border Collies. 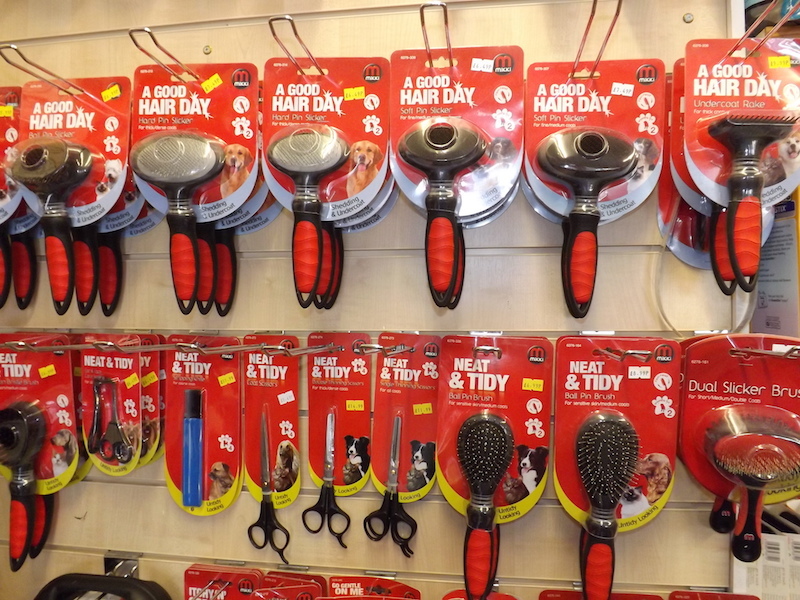 Dogs love to be pampered and, at Galloway Petfoods, we stock a great range of grooming products for your dog including grooming gloves. Regular walks. When dogs are out amongst traffic or farm animals, they should be kept on a lead. 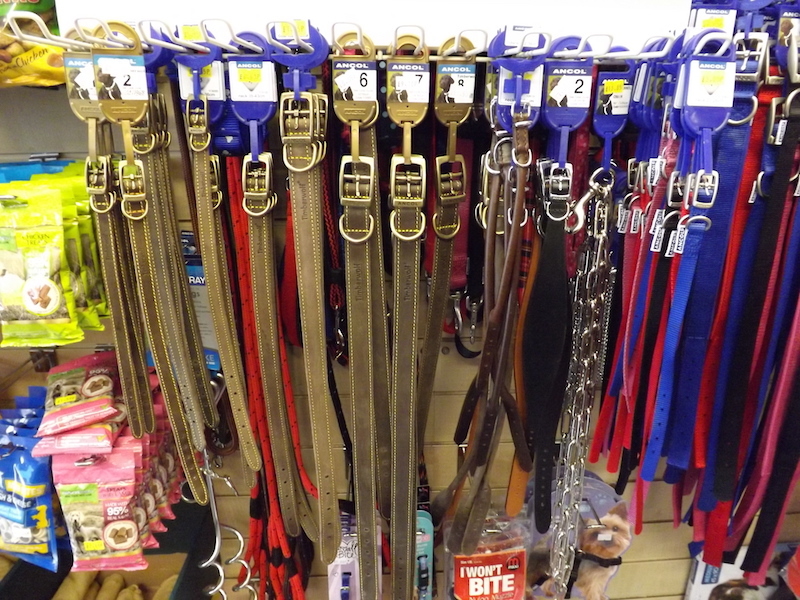 Galloway Petfoods sells a range of collars and leads as well as dog tags so that, if your dog does get lost, it can be identified and returned to you safely. Someone to clean up after them with a pooper-scooper. It’s the law to clean up after your dog on public streets and park areas. We sell a range of specially designed pooper-scoopers. Fleas and worms. Galloway Petfoods stocks a range of effective flea and worm treatments for your pet. Never leave your dog in a car in warm weather, even with the window open. Consider getting your dog neutered. Consider pet insurance to cover vets' bills, should they fall ill or have an accident. Make sure they are properly looked after when you are on holiday. Pop in and see us or, for more information on the products we stock, call us on 01671 402120.